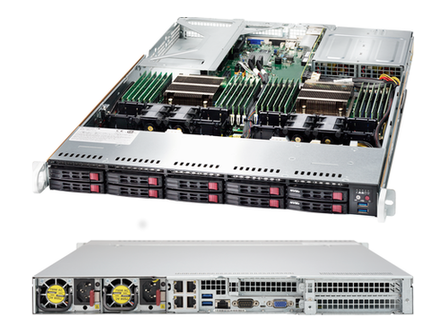 The Supermicro 1028U-TR4+ SuperServer is a high-end server comprised of two main subsystems: an SC119U 1U server chassis and the X10DRU-i+ dual processor serverboard. 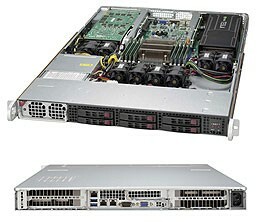 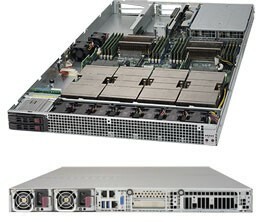 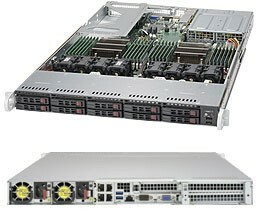 The Supermicro 5018GR-T is a 1U rack server with 3x high capacity 3.5" SATA/SAS Hot-Swap bays. 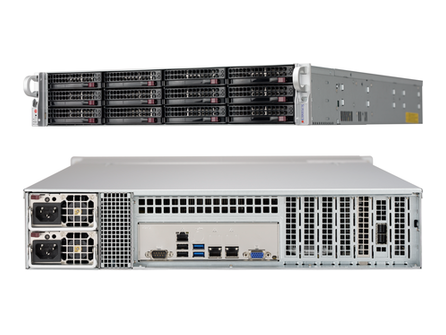 The Supermicro Ultra SuperServer 2028TP-DC1R is a 2U Rack Server with Redundant Power, 12x 2.5" SATA/NVMe Hot-Swap Bays, 1280W redundant power supplies. 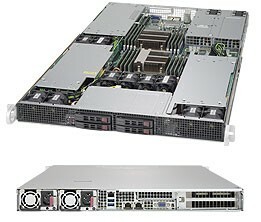 The Supermicro Ultra SuperServer 6028R-E1CR12L is a 2U Storage Server with 12x 3.5" Hot-swap drive bays, 3x 8cm hot-swap redundant PWM cooling fans and 920W Redundant Power Supplies.